This month’s information is intended to reduce the stress of your next move. Page one outlines three tips to help your move go more smoothly. Moving is tough enough, but with the addition of children and pets, stress may increase exponentially. 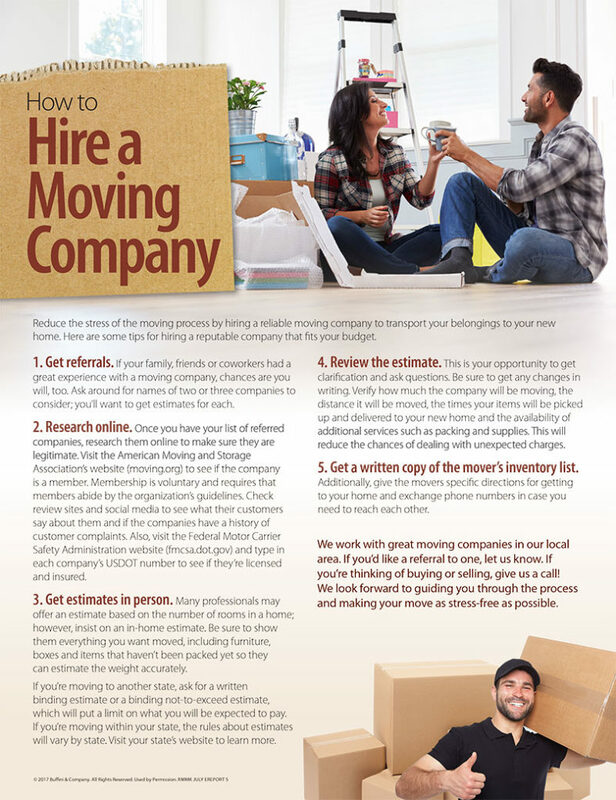 For those moving with little ones and furry friends in tow, page two offers insight to help keep every member of your family happy.